Selling Medical Devices: ROI or Die! Medical sales reps always talk products, but seldom talk “ROI.” Here’s how and why you must. Sales reps often struggle when hospitals and other customers demand lower pricing. How should you deal with the price issue? The traits and behaviors that separate average medical sales representative from the great ones are subtle. 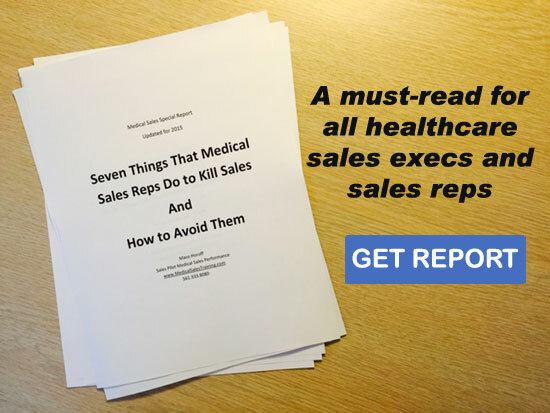 Medical Sales Reps…Do You Speak “Compliance”? Medical Sales: Are You Comfortable Making Your Customers Uncomfortable?